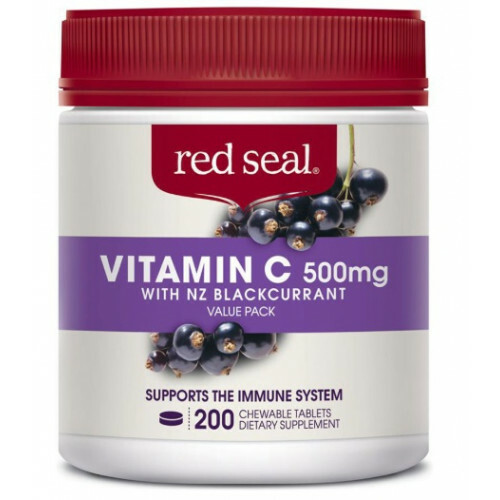 Red Seal Vitamin C 500mg With NZ Blackcurrant 200 Chewable Tablets contains vitamin C which is a powerful antioxidant that is important for immunity. It helps maintain good health and strengthen the body’s defences against winter ills and chills. 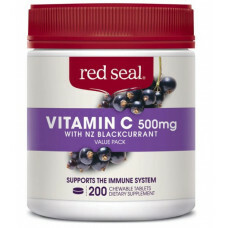 It is chewable for quick absorption and is great taste from New Zealand grown Blackcurrant. Low acid Vitamin C formula. No added: Wheat, gluten, yeast, dairy, soy, nuts, animale products, artificial flavours or preservatives. If symptoms persist consult your healthcare professional If taking prescription medication or if in doubt consult your healthcare professional. Adults: Take 1-2 chewable tablets daily. When ill, 1-2 chewable tabets can be taken 3 times daily. Children (age 5+): Take 1 chewable tablet daily. When ill, 1 chewable tablet can be taken 2 times daily. ♦ Product Description Nutra Life Ester C 1000mg + Bioflavanoids 200 Tablets is a patented for..